Holy crap, I can’t believe it’s been 3 months since I’ve updated my blog. I feel like a slacker in a major way. I know everyone uses this excuse, but I’ve been extremely busy over the last few months (with all good things, luckily!) and it’s caused me to put this blog on the backburner for a little while. But I’m happy to report that I’m officially back with a vengeance! I have so much to update you guys on over the last few months and I’m so excited to catch up! Okay, let me just do a quick overview of everything that’s happened over the past few months – I trained for and competed in my first NPC bikini competition, Ed got a new job in IT, I ran a half marathon at the end of May, and I got a part-time job doing PR/marketing for travel and hospitality companies. All of this in addition to still becoming acclimated to living in San Diego and still getting the hang of my (somewhat new) full-time job has been a lot to handle to say the least, but I’m not complaining because I realize how lucky we are that all of these things have been wonderful and exciting developments. 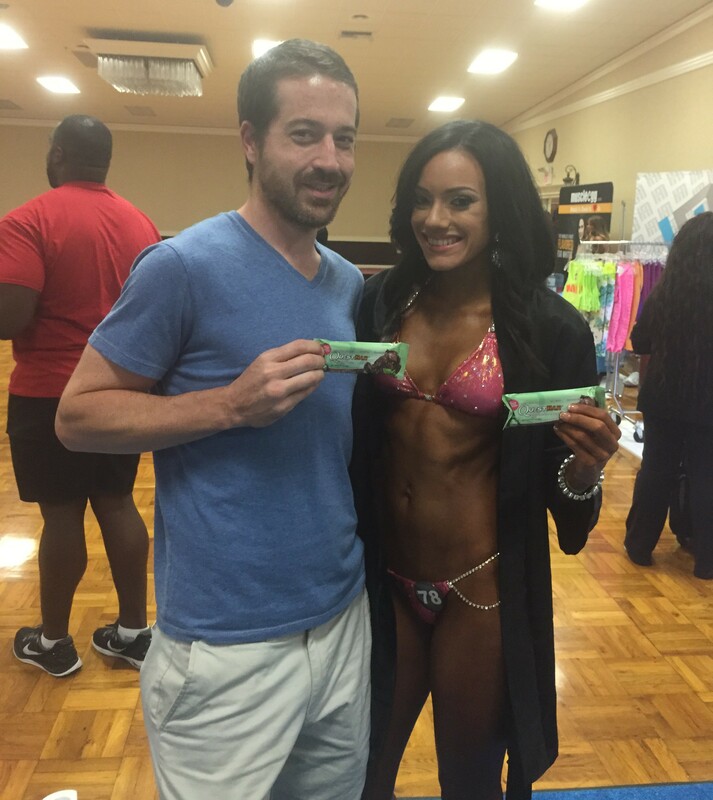 So first things first, my NPC bikini competition. I plan on doing a series of posts relating to this because it truly did consume much of my time and my mind for the 16 weeks I was preparing for it. 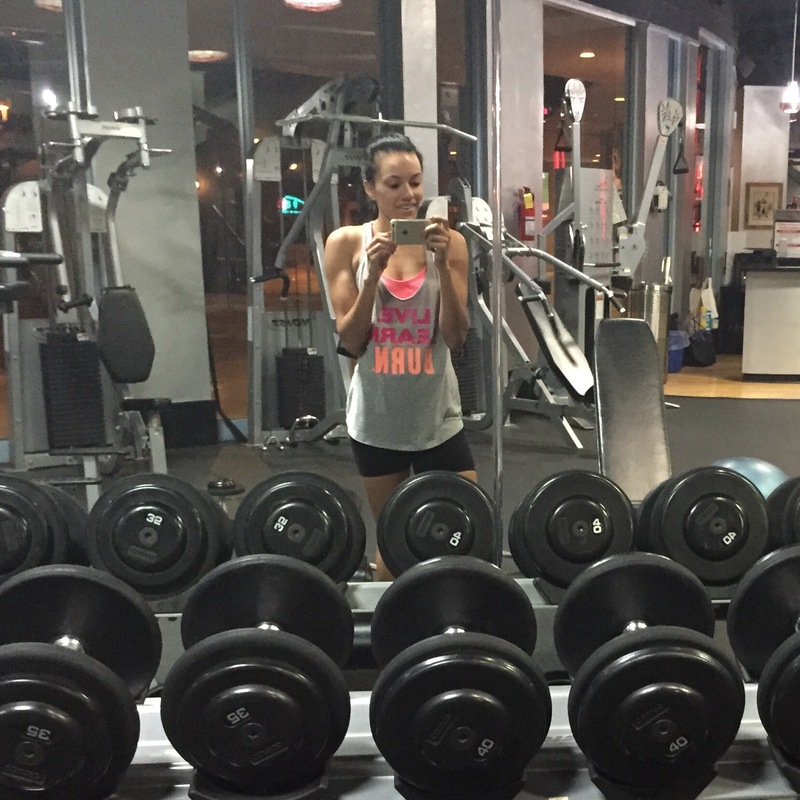 I’m going to write a few posts on why I decided to train for one, what my prep was like (i.e. what types of food I ate, my workout plan, my mindset), how the competition went, and my post-competition thoughts and feelings. Spoiler alert: it was a difficult few months filled with lots of early morning wakeup calls, meal prepping, some tears, and plenty of freak-outs. While training for that, Ed was fortunate enough to find a job he loves in his industry. This was such a blessing because he now finally a consistent schedule and we get to spend the weekends together! A little after he started his new job, I received the opportunity to work part-time doing PR/marketing/social media for a few travel and hospitality companies. I wasn’t looking to add on another job at the time, but it fell into my lap and it’s something that I think will be a great opportunity and help me to grow in my field so I decided to take it. Fortunately, it’s all done virtually so I’m able to work from the comfort of my home whenever I have spare time so that cuts down somewhat on the stress of having 2 jobs. And as if training for a NPC competition wasn’t enough, I started half marathon training IMMEDIATELY after my competition. I couldn’t train for them simultaneously since endurance training breaks down your muscles and I was trying to build muscle for the competition. 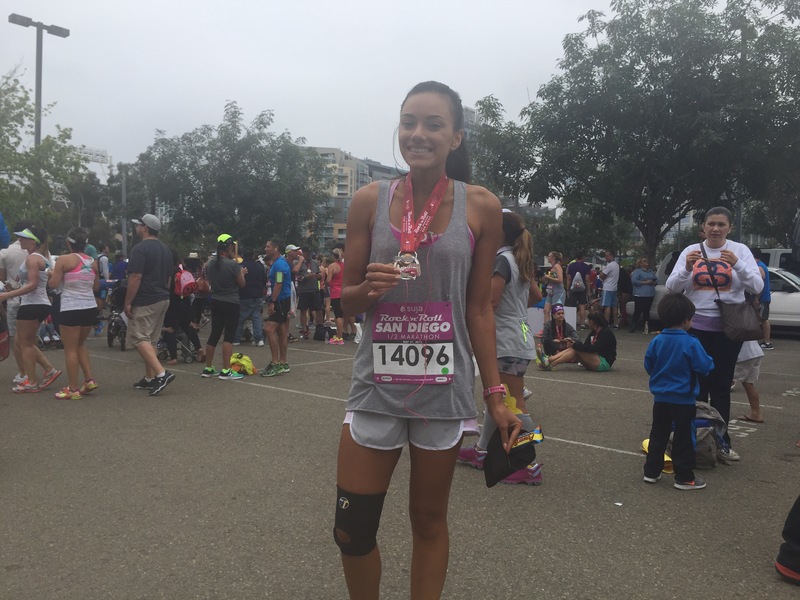 I realize this probably wasn’t the smartest idea since I only had 3 weeks before the half marathon to train, but I’ve always wanted to run a Rock N’ Roll race and couldn’t pass up the opportunity to run RnR San Diego. I will be doing another post on how I trained in such a short timeframe and a full race recap. Phew, okay I think that’s pretty much everything big that’s happened since we last talked. Like I said, I’ll be elaborating more on my bikini competition and half marathon since there was a lot involved with training and competing in both of those. What’s been going on with you guys? Any fun and exciting news? This entry was posted in fitness and tagged bikini competition, half marathon, NPC, RnR San Diego, Rock N Roll San Diego. Bookmark the permalink. 5 Responses to Well, hello there! Can’t wait to read all about this exciting endeavour! Congrats on your job, comp., and half! You have been busy the past couple months! Can’t wait to hear about your comp. journey! Oh my goodness. Looking forward to hearing more about everything! Welcome back.